I was truly honored to be able to participate in Memorial Day Services that were held in communities in that I represent. 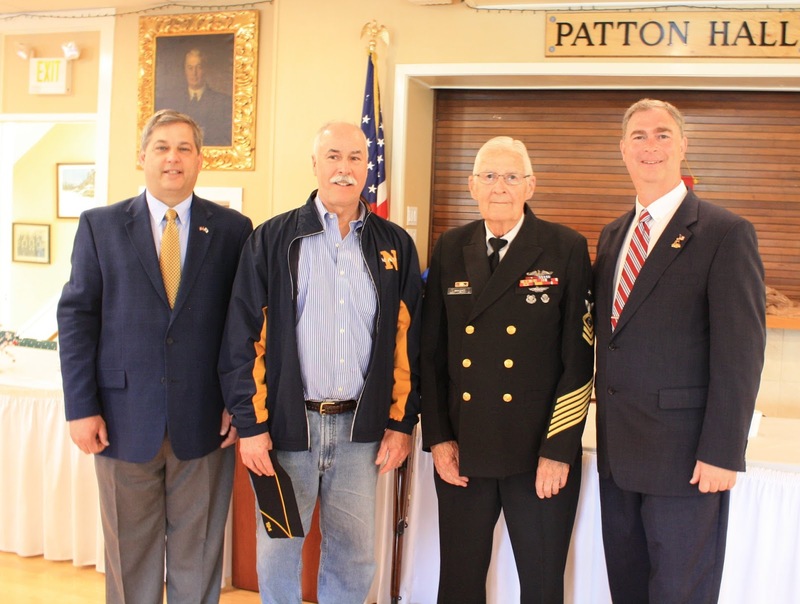 Sunday's Veterans Memorial Breakfast hosted by Hamilton’s American Legion A.P. Gardner Post 194 was well attended at Patton Hall. The breakfast, served by members of the Women's Auxiliary, is made by the Sons of the Legion. Gloucester, Massachusetts​ held a service in the High School Auditorium. Mayor Sefatia Romeo Theken​ and Rep. Ann-Margaret Ferrante​ offered remarks to those in attendance. I read Governor Charlie Baker​ proclamation. The Honor Roll of Deceased Veteran was read. In #WenhamI I joined many others in a parade to honor our nation's veterans. Starting with a brief ceremony and decoration of the Alan B. Cheeseman Memorial we then gathered in front of the Wenham Council on Aging followed later with a Salute to Colors. Our parade route made stops at Veterans Memorial, the Civil War Monument and Main Street Cemetery. VFW Post 5707 and the #Rowley Board of Selectmen hosted a ceremony and parade which started at the VFW. Parade marchers proceed to Summer Street, past the Town Common and on to Main Street. With Representative Brad Hill​.